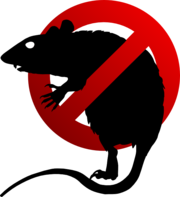 This is the first of a series of posts about the Ratpoison window manager. Ratpoison comes with great flexibility and allows us to do pretty amazing things binding custom keys and running external programs and scripts; I'm going to talk about some of the ones i use in the next posts. For the first one, lets talk about music. Some people use a graphical music player like Amarok or just play some Youtube videos, others prefer text players like MOC or CMUS, but we can reach the top of flexibility using a music daemon like MPD and use our preferred client (MPC, Ncmpcpp, Vimpc). All this options have somthing in common: you usually interact with an interface you have to switch to, interrupting your work flow in order to control your music, but we can do better. * Note that C-t is the default Ratpoison escape sequence. The second line is the song currently playing/paused. The third line is the song number in the playlist and the time played/remaining. The forth line Marks with an * the enabled modes.